What To Expect for SEO in 2016? The last few years have witnessed a number of new developments with regard to Google’s search algorithm and being an SEO consultant it is very important to monitor, predict and keep track of the direction Google is headed so that I can provide the best services and results for my clients. With many of those Google updates such as Panda, Penguin and Hummingbird, it is definitely harder to do SEO today than it was in the past. They have changed the SEO landscape in a considerable way. Google has been making changes relentlessly to improve the user experience and in addition to another Google Panda update, we can expect even more changes to roll out this year. With cheaper smartphones readily available in the market and more people using data like never before, mobile internet is the predicted future of digital marketing. April 2015 saw Google targeting websites that were not mobile friendly. This led to variations between their mobile and desktop algorithms and now today, mobile search results have never been so different between the desktop results. A frequent user of Google would have noticed a recent change in search results that answers questions on the search results page itself. Thanks to Google Knowledge Graph, finding answers just got easier. Google is attempting to provide a better understanding of the link between facts and to offer answers to its users faster and more efficiently. For example, let’s search for “Toronto Maple Leafs” in google. In the results, we already have quick answers to all the important and current information about the Toronto Maple Leafs. 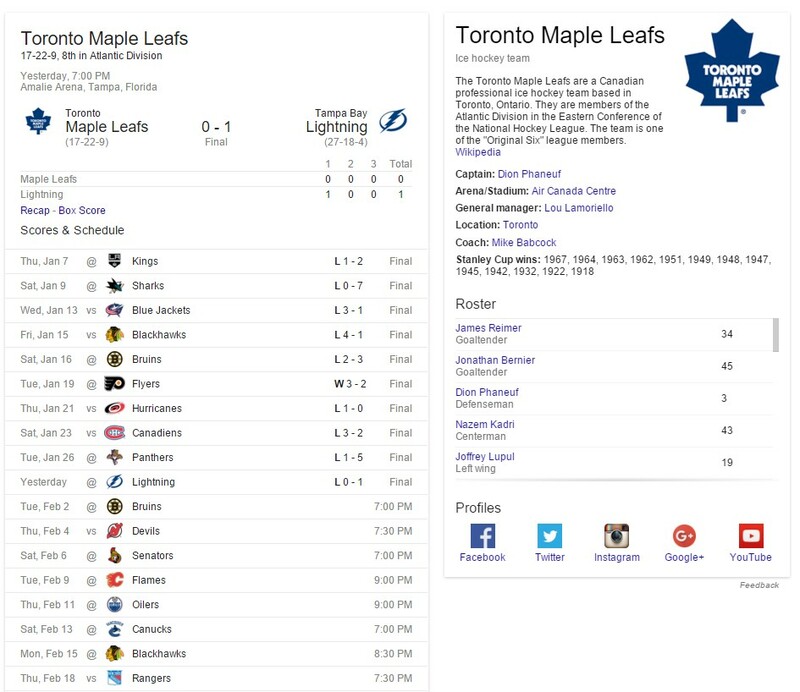 The Google Knowledge Graph shows their past wins and losses, upcoming games, team roster, Stanley Cup wins, social media profile links and more. While this means good news for the users, it might not seem a welcome change for website owners. Unfortunately, with answers readily available in the search results, this can mean less organic traffic for your own website. Make sure that schema markups are effectively implemented on your website. Set up your brand’s Wikipedia page. Make use of nouns and entities in your content so that search engines can find answers from it. A quick look at a random search result would show how Google search results are being taken over by older and more authoritative websites. For example, if you see the top 3 search results for the term, “Criminal Lawyer NYC”, you’ll notice they’re dominated by big authority law directories. Let’s even take it a step further and look at the ages for those domains. These domains are all over a decade old and the competition is very stiff. 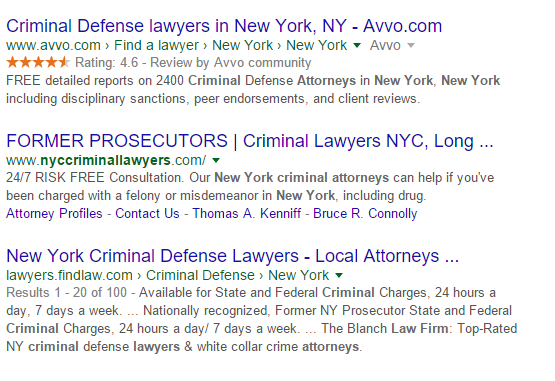 If you’re a criminal lawyer in New York, SEO might not be the best investment for you. “Page that you want to rank for must have tons of links” – It’s a commonly spoken sentence in SEO world. However, the gap between that statement and reality will continue to grow larger. With Google changing its search algorithm quite often these days to enhance user experience, there is a growing inclination towards larger websites that have overall authority on a topic. It looks for information from authoritative domains. So, you need to make your domain authoritative by building links not just to the homepage, but to your inner pages as well. In order to provide high quality and relevant content to its users, Google has been increasingly gaining control over with the black hat link building methods such as bulk/profile links, SAPE links and blog network links in the past few years. As a matter of fact, September 2014 witnessed the deindexing of a huge number of websites that used the above-mentioned link building practices. This continued well into 2015. This was a precursor of changes to expect in 2016; with quality gaining the front seat position, grey and black hat SEO practices may not bring you the sustainable results for your efforts. These expected changes clearly indicate how 2016 will continue to prioritise quality over quantity. The biggest takeaway here is that you need to make sure that you make your website look like a trusted and qualitative resource. Think of SEO from Google’s perspective. They want to provide the best user experience to its users to keep them coming back. The more you help Google by providing its users with valuable information, the more valuable Google will find your website. 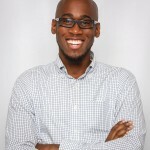 Maintain and frequently create high quality, relevant content on your site. .
Andre is a passionate Digital Marketing and Web Design consultant with Thunder Rank, an SEO Agency in Toronto. He has over 8 years of experience in the online world and is dedicated to providing his clients with nothing less than results.